Getting fired from your job for what seems like unjust or unfair reasons can be upsetting. You might be filled with indignation and want to take legal action against your employer because you feel you have been wronged. You might be surprised to learn that because Florida is an “at will” state regarding employment, employers are free to fire you for any reason, or no reason, if they are obeying employment laws. An employer does not need to have grounds or cause to fire an employee in Florida. If, however, you feel your termination was in retaliation because you were a whistleblower, or if your firing was part of a pattern of discrimination that you have been experiencing at work, it might be time to schedule a consultation with a Fort Lauderdale unlawful termination attorney. At the Yeboah Law Group, we are here to protect our clients’ rights when they have been unlawfully terminated in a way that violates an employment contract, or is discriminatory in any way. Our employment discrimination attorneys will investigate your claims and demand justice on your behalf if you have been unlawfully terminated. What makes a termination unlawful? While the law that applies to termination is a Florida law, employers must also follow the laws of the U.S. Department of Labor, Occupational Safety and Health Administration (OSHA) and the Civil Rights Act. 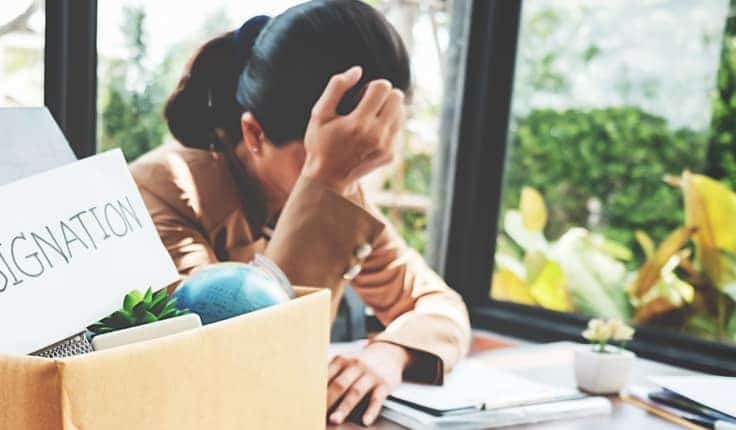 If an employer does not need a reason to fire an employee in Florida, what makes a termination unlawful? The following are a few examples of wrongful terminations. If you do not have a written employment contract with your employer, termination is not unlawful unless it is retaliatory, or you are a member of a protected class and your employer has taken an adverse employment action based on your being part of a protected class. The employment discrimination attorneys at the Yeboah Law Group are always willing to consult with you about the circumstances of your termination. If it happened in violation of a written contract, or if you can provide some evidence that it was part of a pattern of discriminatory behavior, then we can discuss your options for taking legal action against your employer. We will not charge you for an initial consult because we work on contingency. You will not pay attorney fees if we are unable to recover compensation for you. Have you been unlawfully terminated from your job? The skilled Fort Lauderdale employment discrimination lawyers at Yeboah Law Group are here to demand justice on your behalf when your employer has violated state and federal law in terminating your employment. You may call 800-TELL-SAM or complete our contact form to schedule a free consultation.